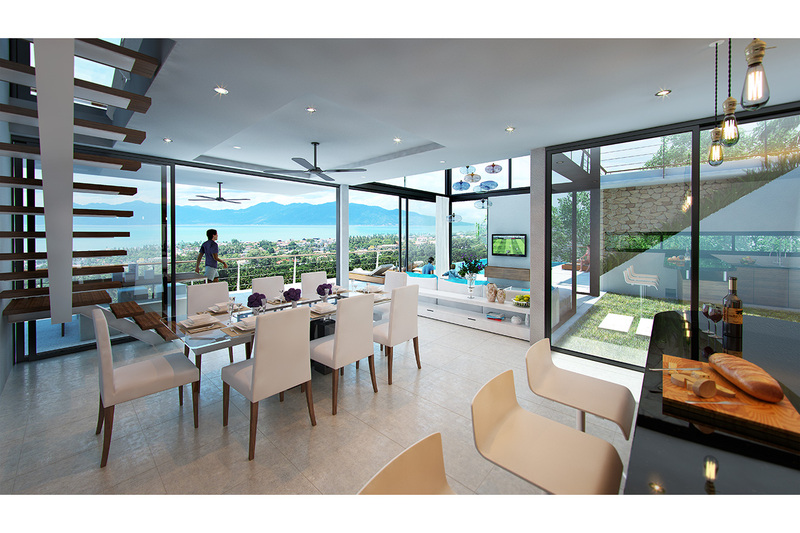 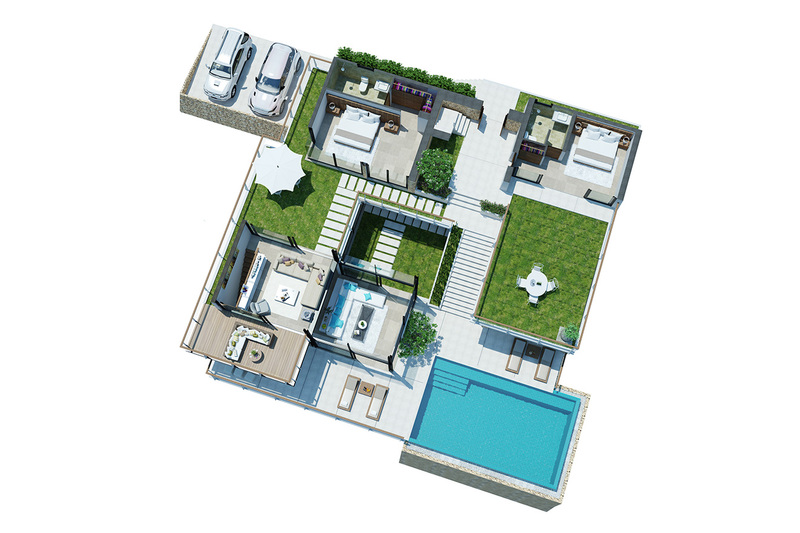 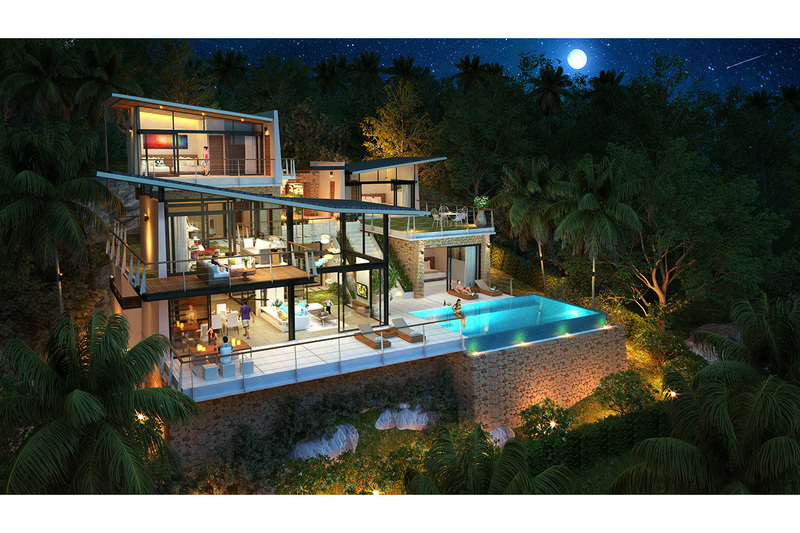 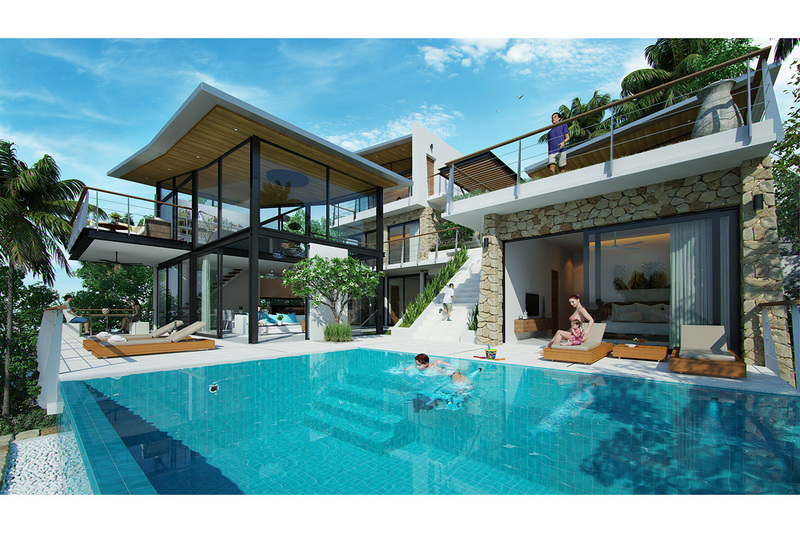 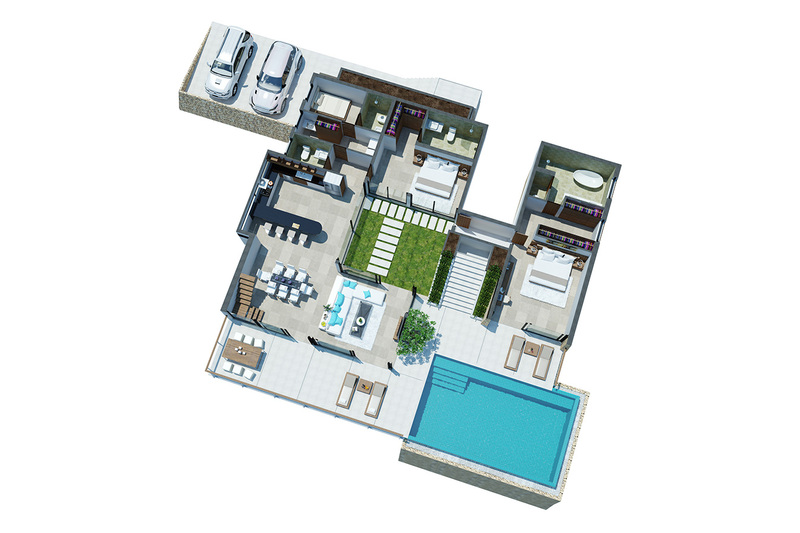 A series of 11 villas set on two seperate sloping sites. 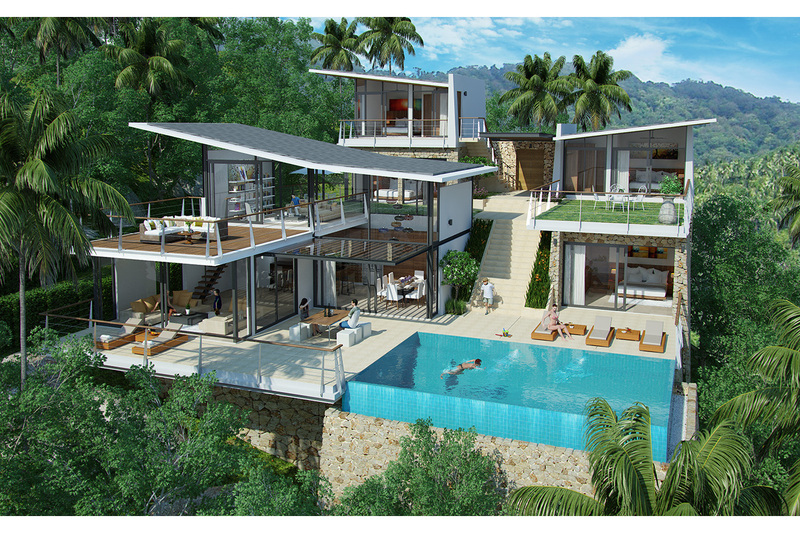 Each villa is broken up into a series of pavilions which creates an open resort feel to the circulation, giving rise to mulitple tropical landscape pockets. 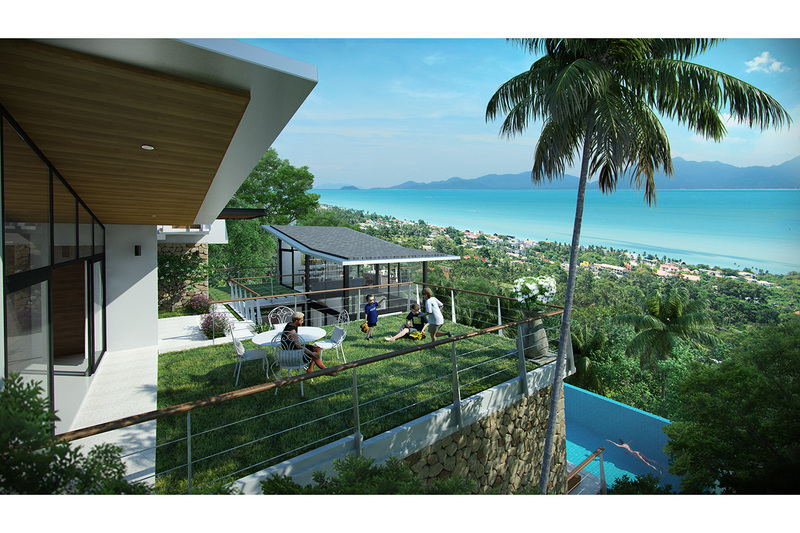 All the pavilions interconnect and open out onto their adjacent outdoor spaces with prominence given to long coastal sea views.